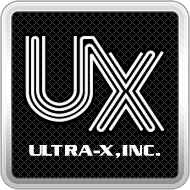 Support Services – Diagnostics & Malware Removal for Windows Machines – Ultra-X, Inc. The System Diagnostic Module performs a rigorous hardware inspection for Android or Windows based devices. For machines that fail to boot, technicians can boot directly to the USB itself. You will be redirected to a download link. Download the USB Creator package. Once downloaded, launch the USB Creator setup package. The self-extracting USB Creator setup file will begin extraction. Please be patient as this will take a few minutes to complete. Once the extraction process is complete, a new shortcut will be available on the desktop. Double click this shortcut to begin the USB Creation process. Follow the onscreen instructions as needed. How do I use QuickCAST Server with an Intel based Apple Mac? How do I create a Bootable MultiBoot Malware Scanner USB?